The life of the elderly people slows down as they age. They feel limited and lonely. They want to spend time with loved ones but they too have a life to balance. Due to time constraints and other obligations, the old people are left out. When the right approaches to these unlikely results of isolation and loneliness, the elderly and the sick can still do the things they want without letting their family member feel obligated to take care of them. With the aid from a non-medical home care in Opitz Boulevard Woodbridge VA, they can still socialize. They feel safe and comfortable having Companion Care even with the limited time received from their family. Going out visiting friends, relatives and neighbors, going out for medical or dental check-ups. Going out for a short day trip to an interesting place. Going out for grocery shopping after the list of “Food to Buy” has been created. Coming home with someone to who can help in preparing the meal. Monitoring dietary plans, eating habits and medication reminders. Assisting in personal duties like choosing what clothes to wear to light housekeeping. You can schedule these activities provided by a non-medical home care in Greensboro Drive McLean VA by choosing 24/7 service, or to specified number of hours specially when you are not around at home or going on a business trip for few days. Scrapbooking and crafting for productive and enjoyable long afternoon hours. Reading books and talking about an idea that comes to mind. Playing different kinds of games. Board games or mind games to enhance brain stimulation. Watching movies or cooking shows on TV. Organizing things to enhance creativity while putting the some stuff in proper order. The best remedy for loneliness is socialization. 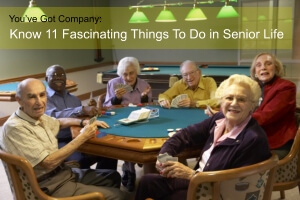 With these activities mentioned, you will have an idea how important it is to seek Companion Care. It is a critical decision to make because some family members overlook depression from a senior adult, a sick mother or an injured father. Everyone wants a happy family and OptimumCare Home Care Services non-medical home care in Greensboro Drive McLean and Opitz Boulevard Woodbridge VA is more than willing to talk to you today. Call us at 703-490-8003. Don’t worry and stay hopeful in whatever situation you are right now. Let’s take easy steps to get started and let’s journey together!